Sen. Elizabeth Warren (D-Mass) isn’t the only person calling for the breakup of Google. On Tuesday, Rupert Murdoch’s Australian media company said the U.S. tech company has too much power over news outlets. A submission to Australian regulators published on Tuesday outlines why News Corp wants Google Search to separate from the rest of the company’s businesses. The calling follows Sen. Warren’s blog post that explains why and how her administration will break up Amazon, Facebook, Google and other big tech companies. As the World Wide Web turns 30, the Internet Society speaks out about the politicians looking to impose rules that it claims slow innovation and create division that put users at a disadvantage. Konstantinos Komaitis, senior director of Policy Development and Strategy at the Internet Society, believes politicians can mitigate these problems by encouraging decentralized collaborative approaches — including international norms development processes — to shape Internet-related laws and policies. He suggests that these approaches can create better outcomes because they have broader participation and are more politically responsive and economically sustainable than some top-down approaches. Komaitis defines “hasty intervention” as regulation that isn’t informed, proportionate or focused, and could have unintended consequences. At risk to an extent is the world economy, per the Internet Society. “The development of new applications, services and businesses across the global economy is increasingly dependent on a small number of private platforms owned by the largest Internet companies,” according to the 2019 version of The Internet is changing. Under Warren’s proposal, companies like Amazon would need to stop selling their branded products, like AmazonBasics. Some media outlets suggest consumers would become the loser because her plan eliminates less expensive options. Even more interesting, Warren took contributions — about $90,000 — from employees of Amazon, Google and Facebook between 2012 and 2018, reportsPolitico. 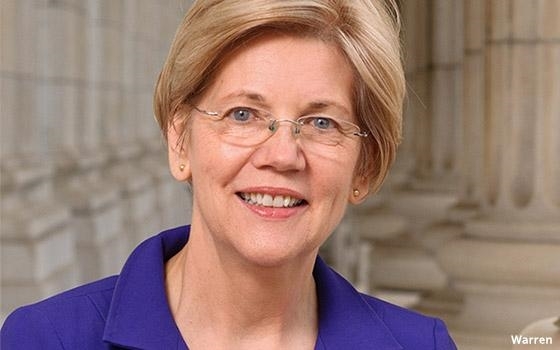 In September, Warren accepted a $2,700 contribution from Sheryl Sandberg, Facebook’s COO.